Mistletoe features all the most popular classics from Bing Crosby, Burl Ives, Dean Martin, Tony Bennett and Nat King Cole. Mistletoe also includes newer favorites from Justin Bieber, Mariah Carey, Michael Buble and Taylor Swift. 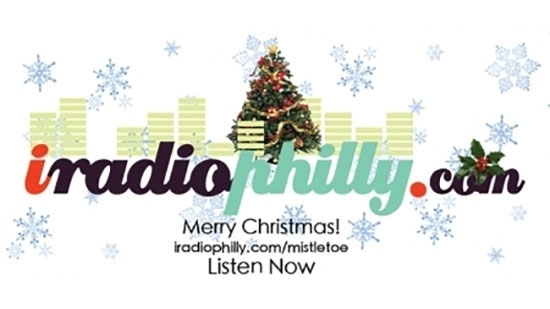 Philadelphia's Christmas Music is on 24/7 on Mistletoe - Continuous Christmas Favorites. Indie Rock Y-Not Radio will turn on the Y-Not Xmas Shuffle at 2pm Christmas Eve for 34 hours of a unique mix of holiday music. Tune in for something slightly different than the traditional. A special 7-hour Christmas edition of Michael Tearson's Marconi Experiment will air beginning on Christmas eve and repeat through Christmas Day! It will start at 8pm on 12/24 on The Plateau. It will feature the 2013, 2014, 2015, 2016, and 2017 holiday shows. It will repeat at 3 am, 10 am, and 5 pm Christmas Day. Listen to iradiophilly online at iradiophilly.com, on our FREE Android or iPhone apps, on TuneIn Radio, Amazon Echo, or on your standalone internet radio.